The key to hitting your fitness goals is to mix things up a bit as monotony can be the demise of any workout routine and that's why the Crosstrail with hassle-free Mechanical Disc Brakes comes equipped with everything you need to start exploring on- and off-road. It features a light and tough A1 Premium Aluminium frame that's been designed with our Fitness Geometry so it will fit and feel like a dream right out of the box. Not stopping there we also included a suspension fork that successfully soaks up road imperfections when the going gets rough. The key to hitting your fitness goals is to mix things up a bit as monotony can be the demise of any workout routine and thats why the Crosstrail with hassle-free Mechanical Disc Brakes comes equipped with everything you need to start exploring on- and off-road. It features a light and tough A1 Premium Aluminium frame thats been designed with our Fitness Geometry so it will fit and feel like a dream right out of the box. Not stopping there we also included a suspension fork that successfully soaks up road imperfections when the going gets rough. 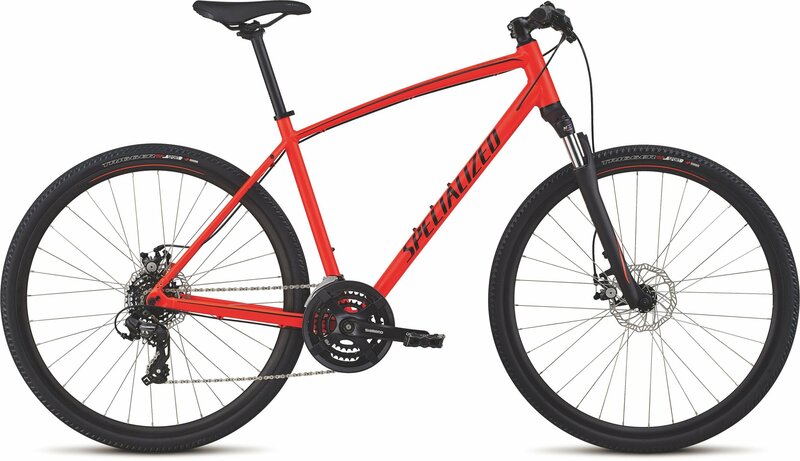 Add in a selection of strong no-fuss components and hassle-free mechanical disc brakes and youll be finding yourself spending more time riding and less time bleeding your brakes. Enjoy greater control over varying terrain with a custom easy-adjust Multi-Circuit Damping fork with 60mm of travel thats tuned for the trail.